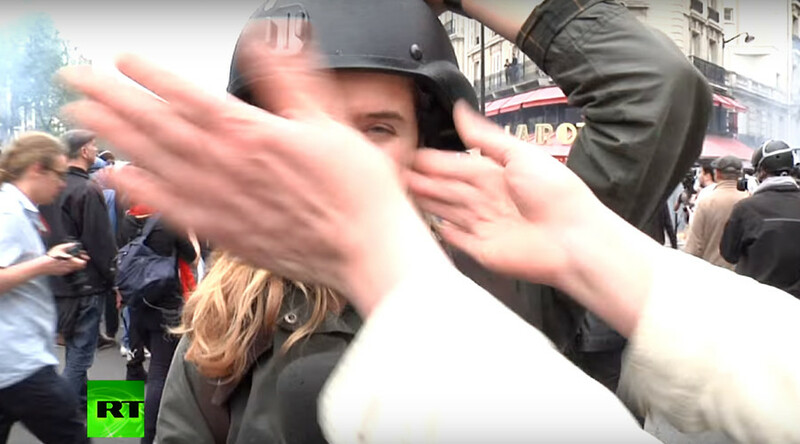 RT contributor Anna Baranova fell victim to an unprovoked attack by a masked demonstrator during anti-labor reform protests in Paris on Tuesday, but carried on regardless, garnering the sympathy of viewers from throughout the world. Led by unions and student organizations, France’s Nuit Debout movement has attracted global recognition and support from other anti-establishment groups, earning comparisons with Occupy and Spain’s Indignados movements. However, the mood was darker during this week’s demonstration, as police had to use tear gas to restrain protesters who were lobbing rocks and trying to break through cordons. “The crowd was made up of angry youths covering their faces with masks and scarfs, vandals looking for trouble,” says Baranova. 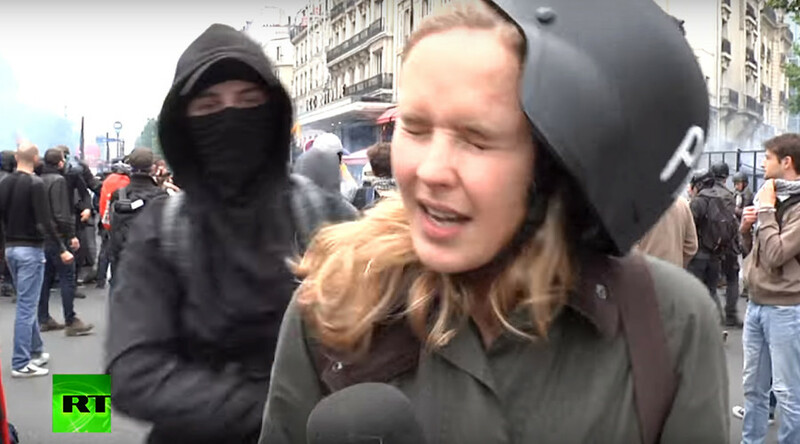 A video of the assault shows one of the participants in a balaclava impudently walk up to RT’s reporter, before slapping her in the head and walking off without breaking his stride. Seconds later, another protester begins slow clapping in front of the lens. Despite being obviously dazed, Baranova recovered to continue her live report. “I wasn’t so much hurt as surprised – people actually come up and hit you on the head while you try to do your job. Wow,” says Baranova. Ironically, RT was one of the first international media outlets to cover the Nuit Debout protests, and has repeatedly offered a platform to their representatives. The video has gathered tens of thousands of views online, and hundreds of comments supporting Baranova, and condemning the attack. This is not the first time an RT employee has been subjected to physical harm – last week a producer at Ruptly, RT’s video news agency, was hit in the head by a rock and had to go to the hospital to stem bleeding. 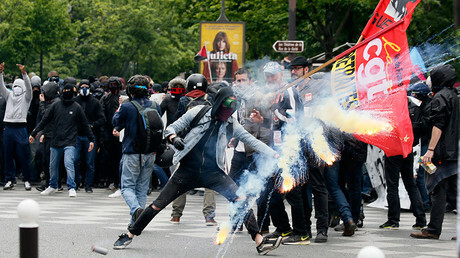 Journalists have also been caught in tear gas in Paris on a weekly basis.